This is a great way to get kids to eat oily fish like tuna, which is packed with omega-3s. 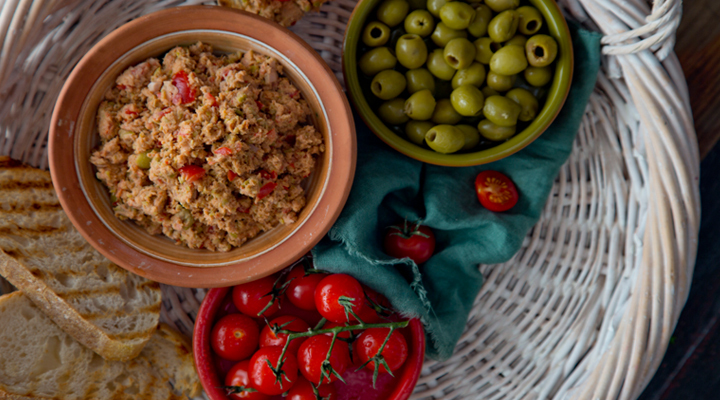 Drain the liquid from the tinned tuna, then place the tuna in a food processor and blend with the cherry tomatoes, green olives, oregano and salt and pepper. Serve thickly spread on slices of crusty bread.